“BUTCH is an environmental portraiture project and exploration of the butch aesthetic, identity and presentation of female masculinity as it stands in 2013-14. It is a celebration of those who dwell outside of the stringent social binary that separates the sexes and a glimpse into the private and often unseen spaces of people who exude their authentic sense of self”. Photography to me is a form of art and communication. I love it when I am inspired, surprised and amazed by portraits. And I love it even more when it opens my mind to something new. I was very touched and impressed by these women, who dare to be themselves and do not give in to what society expects a woman to look like. They are empowered and beautiful. Please check out all these amazing images in full size, and many others at Meg Allen Studio. And softly she decended her staircase of clouds and, noislessly, passed through the window-panes. Then she stretched herself out over you with the supple tenderness of a mother, and laid down her colors on your face. Ever since, the pupils of your eyes have remained green and your cheeks unusually pale. It was while comtemplating this vistor that your eyes became so strangely enlarged; and she clasped your neck so tenderly that you have retained for ever the desire to weep. However, in the expansion of her joy, the Moon filled the whole room with phosphorescent vapour, like a luminous poison; and all the living light thought and said: ‘You shall suffer for ever the influence of my kiss. You shall be beautiful in my fashion. You shall love that which I love and that which loves me: water, clouds, silence and the night; the immense green sea; the formless and multiform streams; the place where you shall not be; the lover whom you shall not know; flowers of monstrous shape; perfumes that cause delirium; cats that shudder, swoon and curl up on pianos and groan like women, with a voice that is hoarse and gentle! And that, my dear, cursed, spoiled child, is why I am now lying at your feet, seeking in all your person the reflection of the formidable divinity, of the foreknowing godmother, the poisoning wet-nurse of all the lunatics. 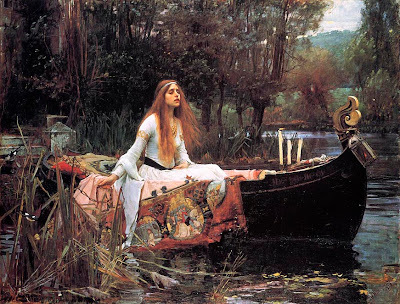 John Williams Waterhouse’s The Lady of Shallot is my all time favorite painting. When I went to London the last time, I simply had to go to Tate Britain so I could see the painting. I just stood there, staring at it for more than 15 minutes. It’s beautiful, enigmatic, melancholic… just how I like it. 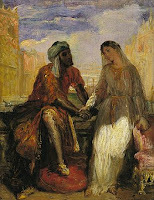 I like al of Waterhouse’s work, but this ones, if by far, my favorite. The other day I was on my way home, sitting in the tram, and I overheard a conversation between a father and his son. The boy could not have been older than 8 years old. They just came out of a morning performance of an opera by Verdi. The boy was fascinated but he didn’t completely understand all that he had seen on stage. What always drew me to Shakespeare’s work is that his tragedies are human, driven by feelings. There is no will of a god at play. His fate is not a divine fate, but very earthly and human. 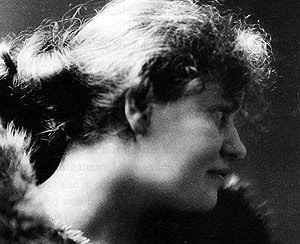 If Nietzsche is the posthumous man, Lou Salome surely is the posthumous woman. Friend, pupil, lover, muse and an inspiration to many geniuses of her time, like Nietzsche, Paul Rée, Rilke, Wagner and Freud. She wrote books, poems and dedicated Escreveu livros, poemas e devoted her life to psychoanalysis. It was. Lou was the one whom Freud trusted the treatment of his own daughter. Here is one of her poems, which Nietzsche put to music: Hymn To Life. As a friend tears himself away from a friend’s breast. I embrace you with all my strength! To live and think millennia! Well then—there still remains your pain.